Why do I think this will be the year of microLED? Because after three generations of the Apple Watch that have all looked exactly alike, this year feels like the right time for Apple to push the platform forward a little bit on the design and visual side. They have added features, turned it into a legitimate health platform, and given it a measure of independence with LTE, so now is a good time to shift gears and focus some attention on the way the Watch looks and feels. I am not talking about a radical redesign here, but for Apple to do anything significant beyond making the Watch bigger, battery life will have to be addressed. The device reliably makes a day for most users as it stands, but the 38mm version can run short for those who use the fitness features extensively. The new LTE feature, especially when paired with the Watch’s new Apple Music streaming capability, takes the battery strain to a much higher level. While I personally like the overall design of the Watch, and would prefer that Apple stick with the squared design over moving to a round face, I would LOVE to see it get thinner and a bit lighter while retaining the same or better battery life. That seems like a pretty tall order given the state of Lithium Ion battery technology. That is where microLED come in, and is why the technology is so key to the future of the Apple Watch. The biggest benefit of microLED is that it has all of the advantages of OLED, but is thinner, brighter, and even more power efficient. This screen tech is the key to better battery life on the Apple Watch, which is, in turn, essential for making future models thinner and lighter. As such, it makes sense to me that Apple’s first re-design for the Watch will come hand in hand with the arrival of microLED. The alternative would be the release of an Apple Watch Series 3S device with better internals, a more efficient LTE radio, and a little better battery life, but the same design for a fourth time. That isn’t very exciting and wouldn’t convince existing Series 3 owners to upgrade, but it will keep new buyers coming in. 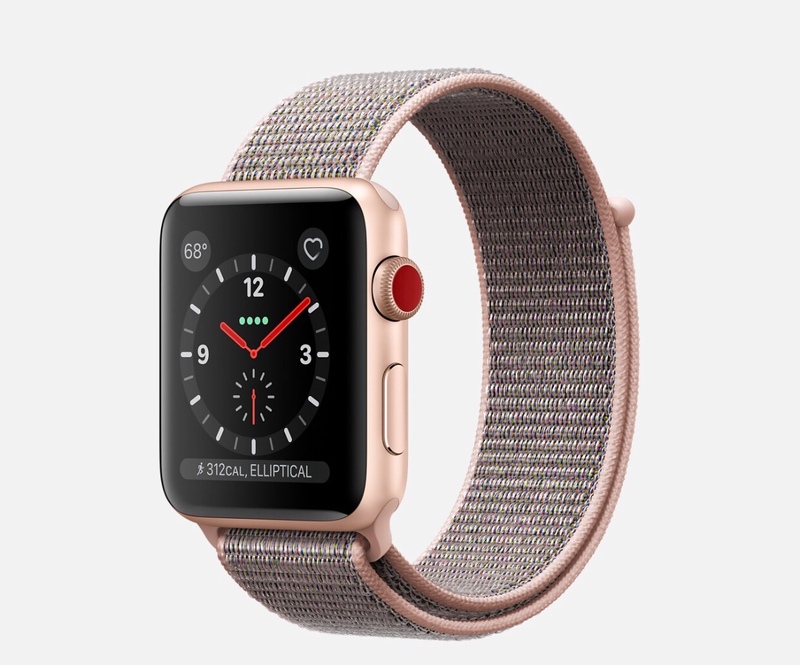 However, I think Apple will be pushing to get microLED out the door now, as the sales of the Watch have been steadily increasing. This year could be the perfect time to make a bold move to try and push those sales closer to mainstream hit numbers. The best indication as to whether we will see microLED in 2018 will be the Apple Watch’s release window, which the rumor mill will undoubtedly stay on top of. The earlier the release, the more likely we see the first “S” Watch. Digitimes reported back in October that Apple was struggling with issues that could cause mass production problems for microLED, so the later the release slips, the more likely that Apple has decided that it can overcome them this year. In this case, we will get the new microLED screen tech and a thinner design with as good or better battery life than before. I’m hoping for the latter and really looking forward to getting my hands on one if I’m right. What do you think of the possibility of a thinner and lighter Apple Watch with as good or better battery life as the current Series 3? Do you think we will see microLED on the next Apple Watch this year, or do you believe that it’s still a little further off? Let me know what you think in the Comments section below, on Flipboard, on our Facebook page, or on Twitter @iPadInsightBlog.